Who is Flinders Football Club? 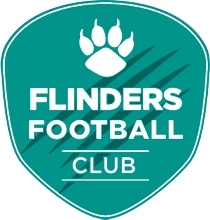 Flinders Football Club is run totally by volunteers (i.e parents), and is incorporated under the Matthew Flinders Anglican College Parents & Friends Association. The club is not run by Matthew Flinders Anglican College. Our committee members, coaches & team managers are all parents of players. We are always looking for additional help to keep the club running smoothly, especially coaches , team managers and help in the canteen on match days. Please consider putting your hand up when registering your child, these aren’t hard jobs and we’d be happy to walk you through what’s involved if you think you can help. What age groups does Flinders Football Club cater for? Flinders Football Club caters for players aged 5 through to 15 by participating in the Sunshine Coast Football ‘MiniRoos’ and ‘Junior‘ competitions. In 2018 we entered an Under 13 Girls team in the Sunshine Coast Football Junior competition for the first time. We are continuing with an Under 14 Girls team in 2019. Mini Roos is a smaller version of football that provides boys and girls with a fun introduction to the game. It is designed for kids, with the emphasis on having fun, playing with friends & learning new skills. Mini Roos players are children turning 5 to 11 in a calendar year. What is Sunshine Coast Football Junior Competition? The Junior competition is a step up from Mini Roos. Games are played on full size fields with 11 a side teams. Teams are graded, and play in divisions. There are additional rules such as off side and referees and linesmen are engaged by Sunshine Coast Football to officiate games. It is for children turning 12 -15 in a calendar year. Whilst it is more competitive than Mini Roos the focus is still on fitness, fun and enjoyment of the game for all levels of ability. Is there a pathway for players after Under 15s? Yes, as our Club continues to grow we aim to offer older age groups the opportunity to continue playing for the Club. We also continue to work collaboratively with other clubs on the Sunshine Coast to provide pathways for our Junior players to progress their football careers. What age group will children compete in 2019? Do players have to be Matthew Flinders Anglican College students? No. We welcome players from Matthew Flinders Anglican College as well as players from the wider community. Our key aim is to encourage players of all abilities to participate. Our belief is that every child deserves to play and have fun. How to register a new player? Registrations are made via the National Online Registration System: www.playfootball.com.au. We will provide you with an easy to follow Step by Step guide on how to complete a registration online. How to register a returning player? When should i register to play? Your should register as soon as registration is open. To assist our Registrar in managing the registrations and allocating players to teams, registrations will close Friday 15th February 2019. Returning players will remain in the same teams they participated with in the 2018 season and places in teams will be filled on a “First Come First Served” basis (i.e. registered and fully paid). Once a team reaches its capacity, players registering in that age group will be put on a waiting list to see if we are able to fill an additional team. When registrations close, if we are unable to fill additional teams in those age groups with waiting lists, the club will consider asking players on waiting lists to fill any vacancies in the next age group up. Unfortunately, should no vacancies exist, we would need to reject the registration request of those on the waiting lists, to enable them to try and find an alternative club for the 2019 season. This would be as a last resort as we do not want to turn away anybody wanting to play for our club, however, please understand, we are limited in the number of teams we are able to field and the maximum number of players in each team. How long is the football season? The season runs from mid March until mid August. Some matches are played in school holidays. Dates for 2019 are yet to be announced. Where & when is training? Training takes place Friday afternoons (3:30 – 4:30pm) on the school ovals for all teams. A Flinders Football Club Timetable will be made available to everyone as we approach the start of season 2019. Where & when do matches take place? Through our association with Sunshine Coast Football, our teams compete in matches against teams from other football clubs across the Sunshine Coast. Some matches will be home games (ie at Matthew Flinders Anglican College) whilst others will be at other clubs’ grounds. Matches are generally played on Saturdays with two to three half-day carnivals for each MiniRoos age group during the season. Match start times vary (usually between 8am and 1pm). the cost of uniforms (see below). Do players need to buy a uniform? Yes. All players must wear the Flinders Football Club jersey & socks, available at the Matthew Flinders Anglican College Uniform Shop. Players in Under 6 – Under 9 can either wear their Matthew Flinders Anglican College sports or the designated Flinders Football Club shorts, available at the Matthew Flinders Anglican College Uniform Shop. Players in Under 10 – 15 must wear the designated Flinders Football Club shorts, available at the Matthew Flinders Anglican College Uniform Shop. Flinders Football Club backpacks & caps are provided free of cost to all new players to Matthew Flinders Anglican College. Returning players can purchase new backpacks & caps at a small subsidised cost. Second hand jerseys (must be in very good condition) can be traded through the Flinders Football Club website and Facebook page. More info on this will be provided early 2018. Unless the playing fields are closed by the home club (this usually only happens if it has been raining for several days), matches go ahead even if it is raining. Clubs generally have up until 7:30 AM on the morning of a match to decide whether to close their fields or not. Team managers will be notified if games are cancelled. They in turn let their team know. MiniRoos: If possible, washed out matches will be rescheduled to the Sunday of the following week. Under 12s – Under 14s: Washed out matches must be played and may be scheduled for mid-week and/or Sunday.